Information technology has inevitably become a facilitator of knowledge sharing. Often, organisational members are separated not only geographically but also culturally. Earlier studies have posited that culture can significantly facilitate or hinder knowledge sharing in culturally diverse teams. 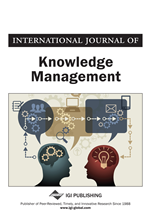 Greater enlightenment on the cultural effect is a useful contribution to understanding the most effective way of managing knowledge sharing in organisations. However, little effort has been put into dimensioning culture in such a way as to enable comparative and large-scale study. This investigation tries to fill this gap by bringing together and examining the few attempts at dimensioning this concept. This review results in the proposing of cultural dimensions, which are grouped into organisational and societal classes. The proposal is in the form of a theoretical model that requires further investigation as explained in the paper.